Questions surround the future of a $75-million federal fund to restore aquatic habitat, with just two recipients named eight months after the initiative was first announced. In late May 2017 Fisheries and Oceans Canada announced the Coastal Restoration Fund, a nation-wide initiative set up to help improve the environment for ecosystems along the shores of the country’s three oceans. As part of Canada’s $1.5-billion, five-year Oceans Protection Plan, the fund accepted proposals over the summer, with results expected in the fall of 2017. But as 2018 progresses, just two successful applicants have been confirmed, comprising less than one tenth of the Coastal Restoration Fund’s available support. In September the Fisheries and Marine Institute of Memorial University of Newfoundland and Labrador was awarded $4.7 million to help restore Placenta Bay’s ecosystem in the maritime province. Coastal restoration has been prioritized for Placenta Bay, where a continually growing port handles some of Canada’s largest oil shipments, according to a DFO release. Then in October the Pacific Salmon Foundation received $1.2 million over three years for a project to improve wild salmon habitat. The foundation aims to help the species through the Pacific Salmon Explorer (PSE), which gives an overview of how salmon populations and their habitat are surviving. The west coast of Vancouver Island is to be included in this monitoring, along with the Fraser, Nass and Kitimat rivers on B.C.’s mainland. “The PSE will help to determine priority areas for coastal restoration and support the development of strategies for mitigating key threats and pressures that may be hindering the recovery of important salmon populations,” stated a DFO release from October about the funding announcement. Over 20 applications were submitted from the west coast of Vancouver Island, including several proponents seeking to improve the territories of Nuu-chah-nulth nations that suffered decades of damage from industrial activity. Rejected applications include those from West Coast Aquatic, which proposed to restore habitat along the Somass River on behalf of the Tseshaht and Hupacasath First Nations. West Coast Aquatic also submitted a wide-ranging estuary recovery effort in the territories of the Mowachaht Muchalaht, Ehattesaht, Nuchatlaht and Ditidaht. 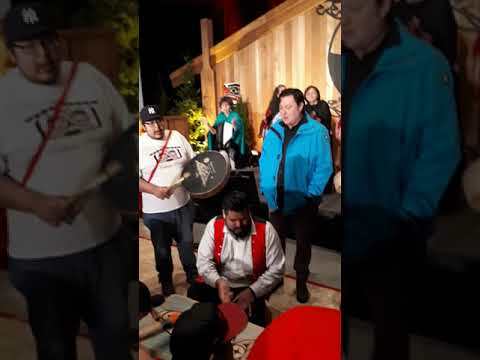 The Ahousaht First Nation’s Maaqutusiis Hahoulthee Stewardship Society was also unsuccessful after proposing to use the government funds to restore five watersheds affected by logging that dates back to the 1940s. The Coastal Restoration Fund was discussed by Nuu-chah-Nulth leaders at the Council of Ha’wiih Forum on Fisheries in October 2017. In late January a DFO spokesperson informed the Ha-Shilth-Sa that no further information is available on how the rest of the $75-milion fund will be dispersed. “Preference is given to projects that are multiyear and involve a broad number of partners that include indigenous groups,” stated Fisheries and Oceans Canada in September.